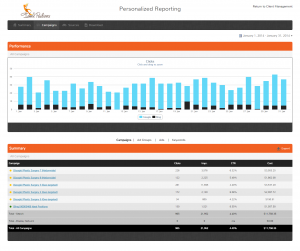 Ideal Positions’ Upgraded Reporting System is Finally Here! 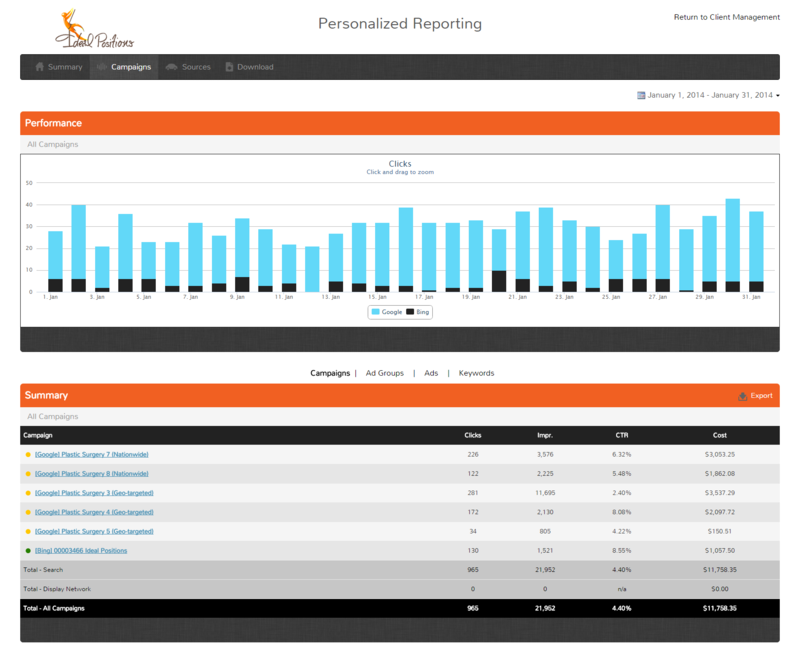 …is proud to announce an updated reporting system fully customized for our advertisers! 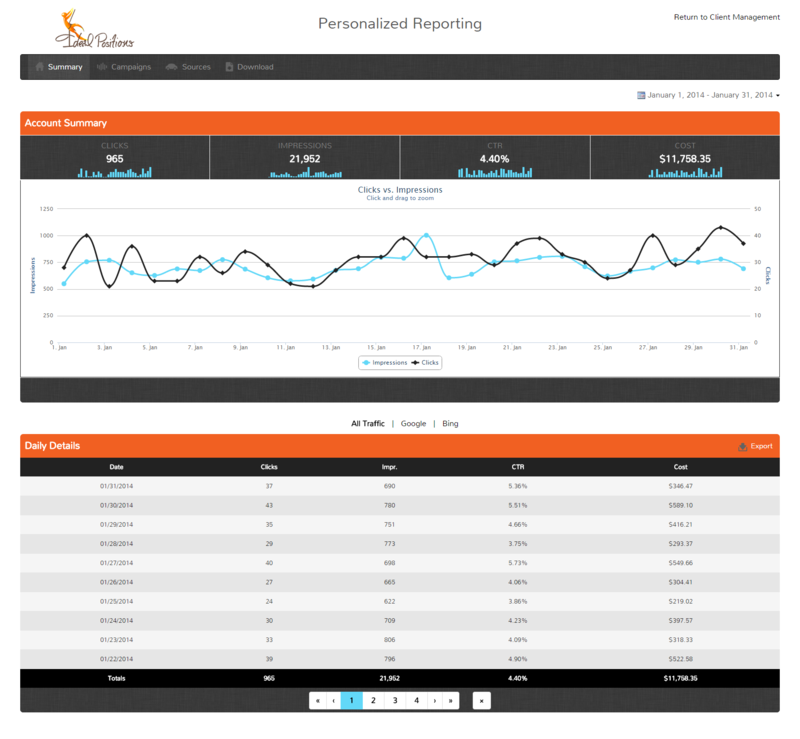 Last January, Ideal Positions launched our very first client reporting suite. 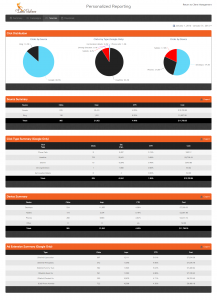 Built in-house by Ideal Positions’ own development team, the reporting suite allowed clients to review the click, impression, and cost totals for their advertising campaigns for nearly any date range desired. 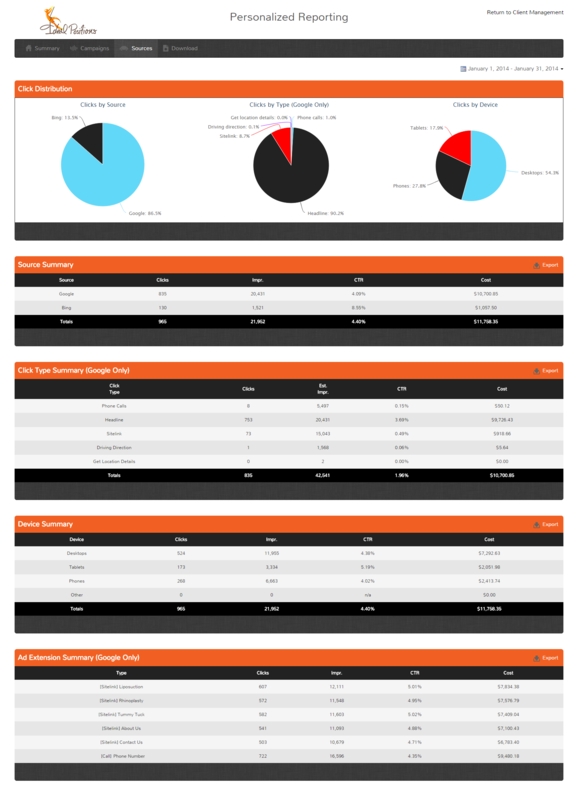 Our hope was to offer a reporting system that allowed our advertisers to quickly and easily monitor the most basic performance metrics related to their advertising campaigns without all the clutter and additional information offered by most existing third-party platforms, such as Google Analytics. The response from our advertisers was overwhelmingly positive, which reinforced that we had made the right decision in investing in the development of the reporting suite. What we had to do next was significantly improve-upon the existing system. We needed additional features to compare data over time, measure different click types (such as clicks to the ads’ header vs. phone calls from mobile users), and store reports. We needed reporting based on device type, ad copy, and Ad Extensions. Perhaps most importantly, we needed a way to have custom reports generated that could be stored for later use or transmitted to another department, and a way to automatically send reports to our clients that contain only the data that matters most. Ideal Positions’ staff has been working hard since last January to bring these features to our advertisers. It’s been quite a process! During this process we realized that the upgrades we wanted would be more easily achieved using a different platform than the original, so we ended-up scrapping the original reporting system altogether in favor of a system that we could update more regularly throughout the year. That new system is available right now. Interested? Call Ideal Positions today at 866-609-3483 and ask to speak with your Customer Service Representative or Campaign Strategist. Not already a client of Ideal Positions? Give us a call now for a free quote! Author Ideal PositionsPosted on December 17, 2014 July 27, 2018 Categories Google AdWords, Metrics, Pay Per Click, PPC, SEM, Web AnalyticsTags Call Tracking, Conversion Tracking, Goal Conversions, Google Analytics, Lead Attribution, Reporting, Reports, Web AnalyticsLeave a comment on Ideal Positions’ Upgraded Reporting System is Finally Here!